With all of the bad weather here in the Northeast, it's hard to believe that Red Sox Opening Day is only a week away. For us in the northeast, Opening Day is a sign that spring, summer and hot weather isn't as far away as we think. For the Red Sox front office and coaching staff, the fast-coming approach of Opening Day represents crunch time for some very tough decisions. Since the start of Spring Training, Blake Swihart has seemingly risen from the dead; he's batting .269 with an .898 OPS, three home runs and 10 RBI in 52 at-bats. Swihart doesn't have any minor league options left. When Swihart came up through the Red Sox's farm system back in 2014 and 2015, he was one of the highly prized prospects who was supposed to help carry the Sox through yet another era of winning. He was touted as the next Buster Posey. But things weren't as pleasant. Swihart underwent a plethora of injuries and position changes over the following years, leading him to lose his swing and completely fall off the map. He went from a first round pick with a huge bat to a lost, position-less bust. At a time, Swihart was rumored to possibly be a centerpiece in a deal for then-Philadelphia Phillies ace Cole Hamels. 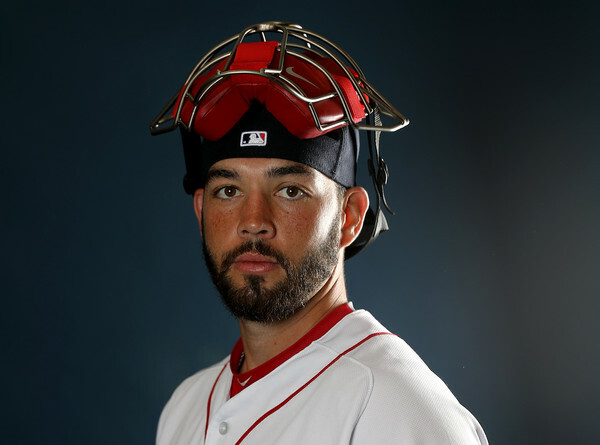 Swihart showed up to Spring Training this season much different; he had his bat and there seems to be a much different vibe around him than before. One of hope and one full of optimism. The Red Sox don't have unlimited roster spots so to put him on for Opening Day, someone will most likely get bumped. As things stand now, it will either be Brock Holt or Deven Marrero. If the Red Sox can't keep Holt or Marrero on the roster for Opening Day, it shouldn't matter. The ceiling of Swihart is much, much higher than that of Holt and Marrero. Holt can still be optioned to the minors while Marrero can't. This could force the Red Sox's hand on trading Holt because his $2.225 million will still count toward the CBT. Also, giving Holt a chance somewhere else to be an everyday ballplayer would simply be the nice thing to do. No matter what, Swihart must be on the Opening Day roster in a week. At the base of it, he provides pressure on multiple positions. He's primarily a catcher, so if Sandy Leon and Christian Vazquez aren't performing offensively, Swihart can be inserted in. The same situation can play out in the outfield, at third base or at first. At the very least, Swihart can provide a solid bat off the bench. He deserves his shot. Now seems like the time. You can follow Evan Marinofsky on Twitter @emarinofsky.